We offer many classes here at Eversong. Click on the class name to see what age your child needs to be for each class type. Our core class is our research based Music Together® Mixed Age classes for newborn to five year olds. In addition to these we are offering an art and sensory play series called Doodle Drums, Drum Along classes at the Rec Center, and we are excited to announce the addition of Music Together Big Kids® for 5-8 year olds this fall! 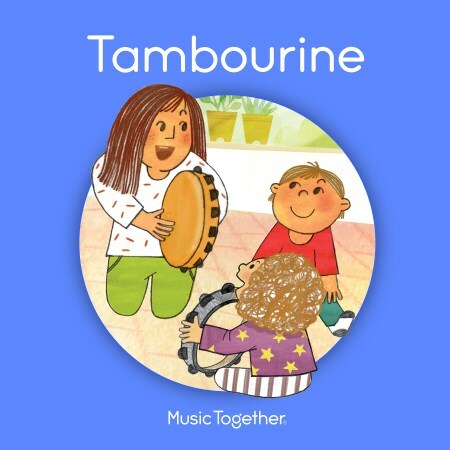 New Songbook this Spring for Music Together Mixed Ages! Click here for tuition prices. If you would like to visit a Music Together Mixed Age class before you enroll, please call (936)463-1771, call/text (918)695-8112, or email us at EversongMusicCenter@gmail.com so we can give you directions. *Classes may be combined or canceled if minimum requirements are not met. We offer you at least 1 make-up class during the semester in case your family has an illness or is out of town. Looking for a different day or time? Please email: eversongmusiccenter@gmail.com and let me know! Eversong is now the host site for the local homeschooling group Nac Learning League! Welcome NLL members. Please select the NLL tab to see your classes. A Music Playdate is a trial of a Music Together Mixed-Age class and follows the recommendations of child development researchers—grouping children of a variety of ages because this fosters natural, family-style learning. Younger children enjoy watching and imitating older ones; older children learn by leading younger ones; and adults are happy because the children in the family can go to class together. Each child participates at his or her own level in singing, moving, chanting, listening, watching, or exploring musical instruments. Any caregivers—parents, grandparents, nanny—can bring the children. The whole family is welcome for this important family music experience. Music Playdates are free or low cost depending on location and will give you a chance to try out our wonderful Music Together class. Rhythm Kids classes for pre-K and early elementary students tap into how children this age are wired to learn, with djembe drumming, music games, animal rhythm stories, and lots of stomping-flying-climbing fun. In each weekly class, we drum, sing, move, and play to rhythms inspired by musical traditions around the world. As your child learns to think and create like a musician, they’ll also gain valuable skills they’ll take to the elementary school classroom (and beyond! ): confidence, focus, leadership, cognitive flexibility, and more. Babies need Music Together too! We have several options for babies and I suggest doing both if you can. Our Music Together Lullaby Class or Lullaby Workshop has been designed for parents and caregivers of young children (non mobile children) 8 months old or younger and expectant parents to introduce you to the many ways in which lullabies are so important for children’s development. This class will also provide you with the chance to learn new lullabies and revisit familiar ones, and give you new ways to share these songs with your children and families. The Lullaby Series at the Rec Center is designed as a series of three once a month classes, but can be taken individually. The Lullaby Workshop is a little longer, but is only once every couple months. 2019 Promotion! Babies under 4 months old are free in our Mixed Age classes. This weekly option plus what you can learn in the lullaby class on how to interact musically with your child is the perfect set up for families with a new baby. If your child turns 4 months old during a Collection/semester, your semester will be pro-rated to receive the classes before they turn 4 months old for free. A special event hosted by Eversong. Check Facebook to RSVP to this event. Events with * are reserved for registered families only. Come join Eversong in a 30 minute class where we will drum and sing to some of our favorite songs! Bring your own drum. Eversong will have gathering drums to share and a few smaller drums if you don't own your own. We will learn about micro and macro beats and how to help your child to grow musically. For newborn to seven year old. Parent participation required. Doodle Drums is an integrated, Mixed-Age music, art, and sensory class. We integrate these three wonderful activities into a fun, developmentally appropriate class for 1-4 year olds. This is the perfect class if you have a preschooler and an infant together. Many of the projects will work for both ages, but I will have infant options if they don't. This is a process art class for 3-4 year olds where we focus on the process of making art and introduce art concepts in a fun, age appropriate way. Although we might occasional end with a completed piece of art, the majority of our time will not be focused on a finished product, but developing the skills needed to inspire creativity and develop both fine and gross motor skills. Although our infants and toddlers may not be ready for an art class, there is much value in the sensory input that comes from art classes. The goal of the sensory class is to help kids develop the skills needed for the preschool age art classes in a fun, age appropriate way with age appropriate materials using sensory input. This class is for 2 years old and under, but the class may not be appropriate for infants 8 months and under depending on their stage of development. Please call or text Brandi at (918) 695-8112 with more questions regarding this class or message us on Facebook at Eversong Music. If you want to become a member of the Nac Learning League to participate in Field Trips and Park Days, but will not be participating in classes please enroll in this "class" so we have your contact information and we can have an idea of how many members we might have at events. A Field Trip Membership costs $5 and is for letting us know you want to be included in our preliminary field trip plans, getting you on our email list, and supporting our planning efforts. To join, create an Eversong account to enroll all your children in the field trip class, and plan to attend the next Park Day to pay the fee and become an official Field Trip Member! Welcome to the Nac Learning League! We will have a 45 minute guided tour of the museum and then you will be free to browse on your own. Children are $5.00 and the teacher of the child is free. If a family member comes along that is not the teacher of the child they are also $5.00. Nac Learning League class for kids 0-4 years old. Nac Learning League class for kids 5-8 year olds. Nac Learning League class for kids 9+ years old. Families who have participated in our classes at least once already are eligible for our pre- and postpartum discount when their next child is due within one month before or after the start date of our semester. We offer this discount with the intention of providing your older child a sense of continuity during a time of exciting and disorienting changes. In the pre-postpartum system, your child attends any four classes which have room in them, with you or any other caregiver you choose. You will text the teacher to alert the teacher that your child will be coming. Once you have enrolled in your $60 pre-postpartum class, please email or phone us we can help prepare you for classes during your exciting time, (918) 695-8112. The day on the class is just a day so I can put it on the schedule. This class has no official day/time.